Fact: kale is bitter. I do not like it. Fact: when you don't use a lot and hide it in delicious garlic mashed potatoes, I get healthy nutrients and outsmart my picky taste buds :P.
If you like kale-all the better! Stuff these mashed potatoes with as much of the stuff as you can! Mashed potatoes don't have to be a guilt-ridden indulgence. These have a little bit of good fats, all the nutrients and fiber, etc. 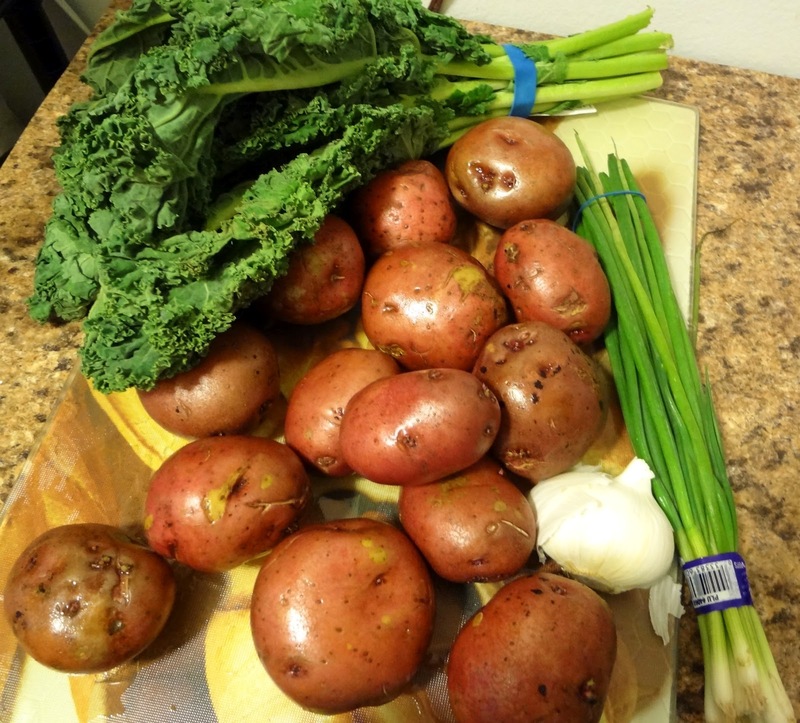 of the kale and potatoes (with their skins). So really, you know, you should eat like...a bunch of this. It's totally fine by me :). 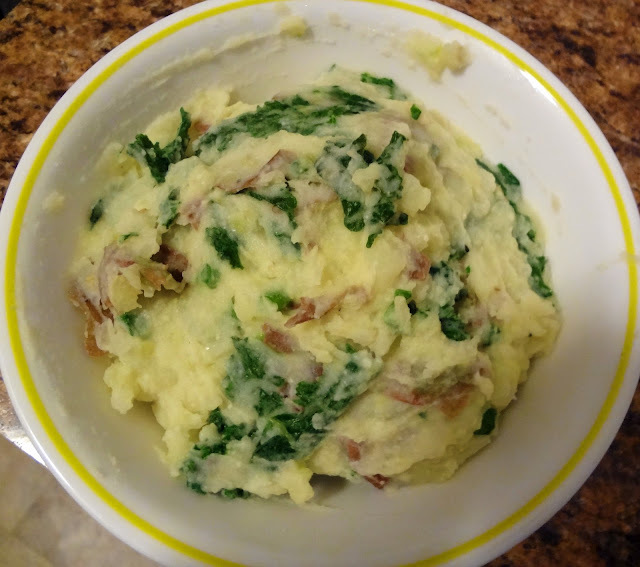 From a Couple Cooks "Mashed Potatoes with Kale and Garlic"
Pepper and kosher salt, to taste. Chop potatoes, don't peel. Place them in a large pot and cover with cold water. Bring to a boil and cook until potatoes are fork tender-about 15 minutes. Wash kale, remove stems, and chop leaves into small pieces. In a small skillet, heat 2 tbsp. olive oil and saute garlic and kale for about 4 minutes-until the kale is wilted and tender. Season with a little kosher salt. Warm milk in the microwave for about 1 minute. Pour in milk and mash-add more milk if needed to reach desired consistency. Season with salt and pepper. Stir in garlic, kale, scallions, Parmesan, and 1 tbsp. olive oil. Taste and adjust ingredients/seasonings if desired.